The Red alert warning previously issued for Gum Bend Lake has now been reduced to an Amber alert by Water NSW. 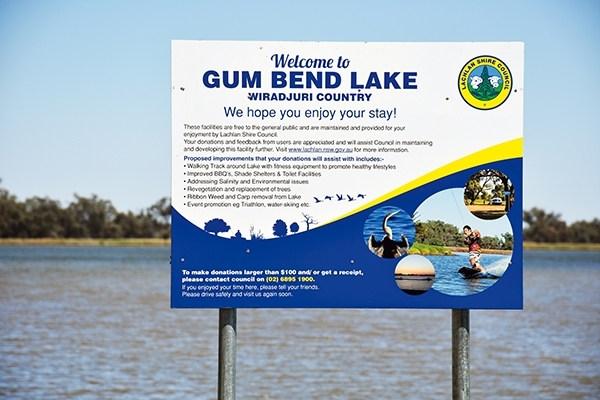 Water quality samples collected by Lachlan Shire Council and analysed by Water NSW have shown algae concentrations have reduced within Gum Bend Lake. However the levels have not reduced enough to remove all algal alerts. Recreational users of the lake are still advised to exercise caution and avoid areas where there may be traces of residual algae. Lachlan Shire Council will advise the public of any future changes. For any enquiries, please contact Council’s Manager – Recreation, Adrian Milne on (02) 6895 1900.